The plastic Belleville Chair consists of two components – a structural frame and a seat shell. The elegant structural frame forms the calligraphic lines of the chair's legs and backrest. 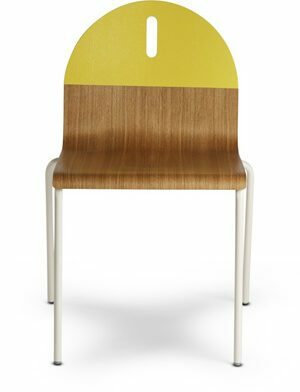 The thin seat shell tapers upward from the seat into the back Belleville Chair Plastic is also suitable for outdoor use.